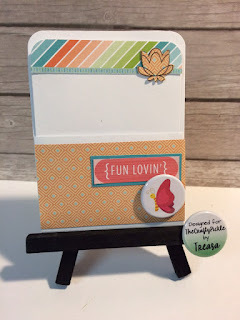 stamps, and more. 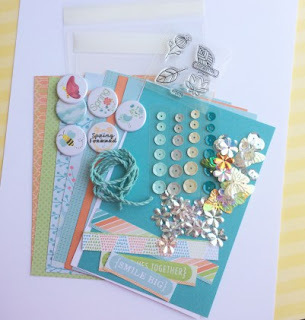 All of us Pickle Gals received the same kit …so Hop around and see what each of us made with all the fun products in The Crafty Pickle Shop!!! fabulous prizes. You have until Friday June 12th to comment and winners will be announced on Monday June 15th! 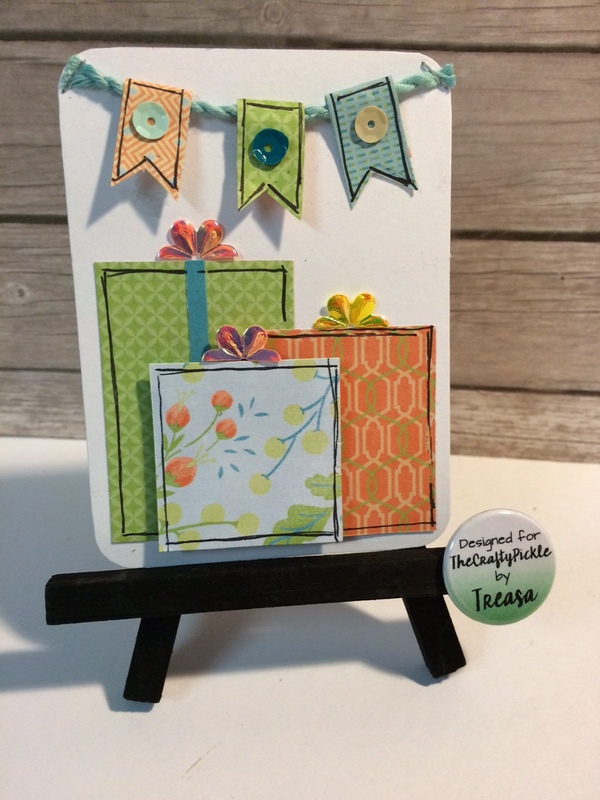 Here is the card I created for my Mother's birthday. I just know she is going to love it. 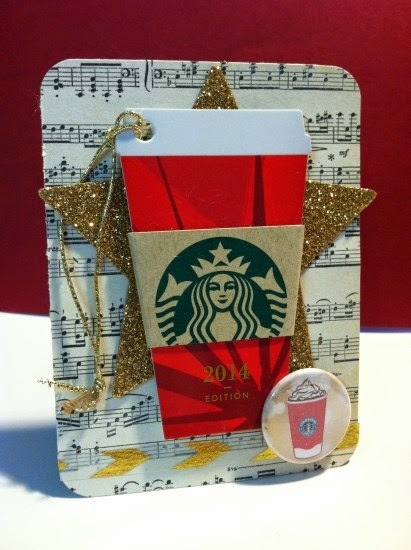 Here is a pocket card I created for my PL album. Here is a Spring card I also created for my PL album. And lastly I created this birthday card for my PL album. 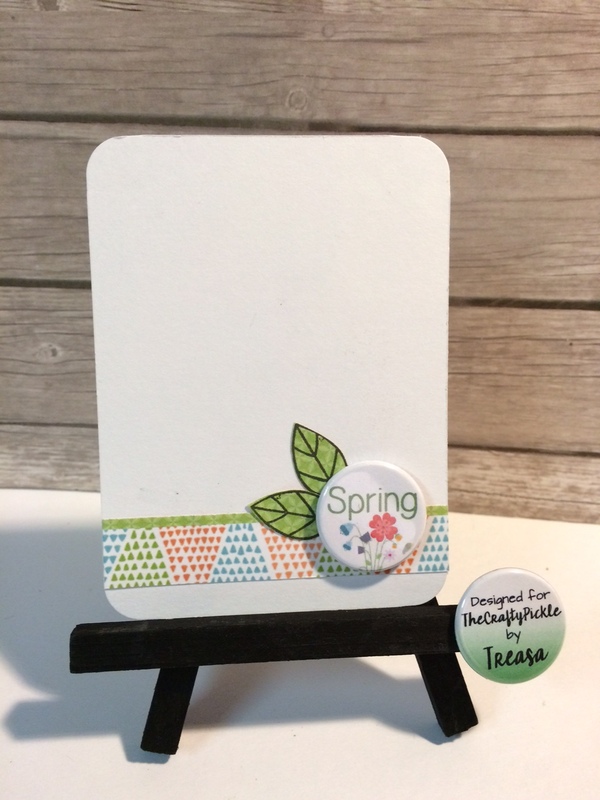 You can find the Spring flair here in The Crafty Pickle shop and find all the CTMH goodies here. 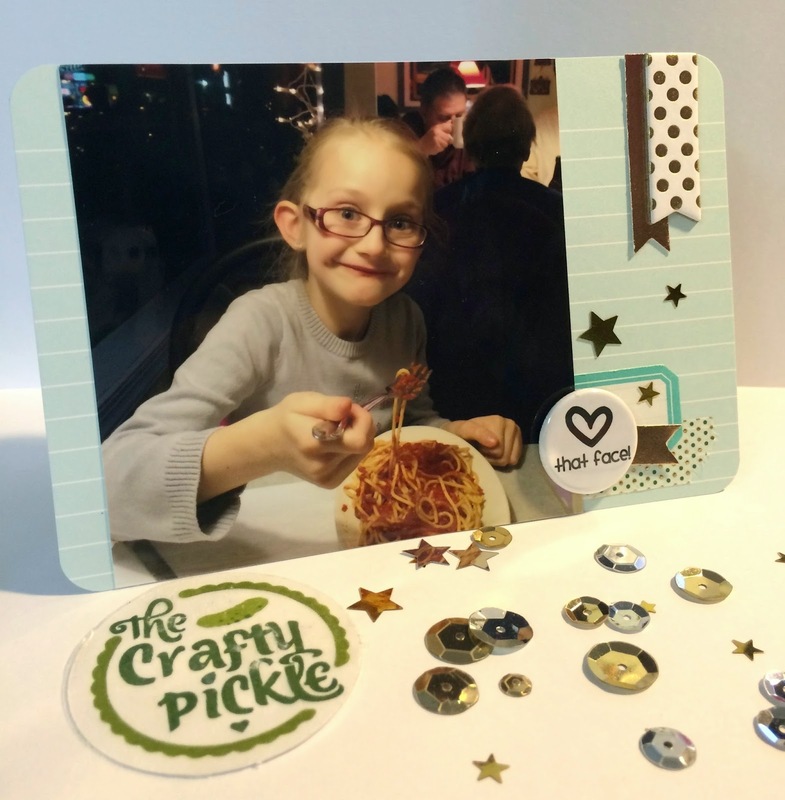 Your next stop is The Crafty Pickle blog. I created a 4x6 card for my PL album using the sketch. 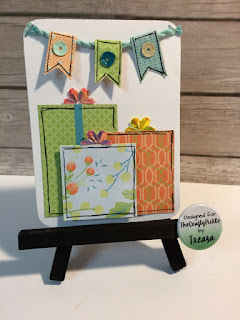 I used a card from one of my Gossamer Blue kits as the base and added some hints of gold. I also used the Heart that face flair from The Everyday Photo Button set from The Crafty Pickle shop. Don't forget to comment on the TCP blog too! Hi there, I can not believe that it's almost Valentines day. This year is already going by super fast. Today I wanted to share with you all some Valentines Day cards that I made for my Project Life album using watercolors. 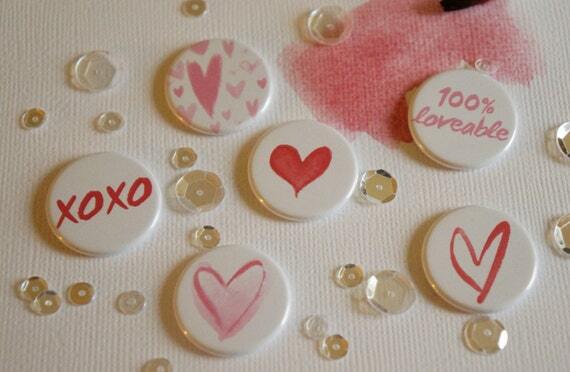 I was totally inspired these Watercolor hearts flair badges in The Crafty Pickle shop. So I cut me down some 3x4 blank cards and got out my watercolor pencils and started creating. Here are the cards that I came up with. 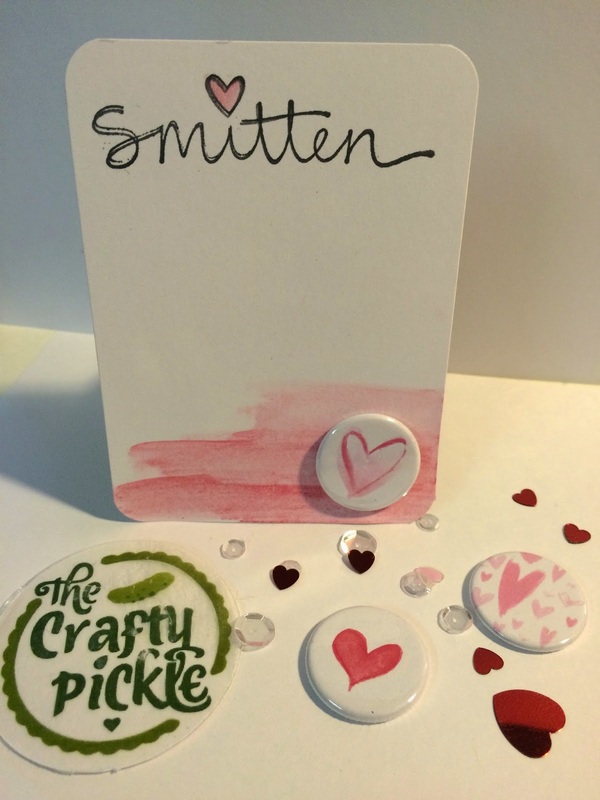 Just a quick post to announce the winner of the custom flair giveaway from The Crafty Pickle. There were comments left on both my blog and on The Crafty Pickle blog and I put all those names in a bowl and drew the winner. 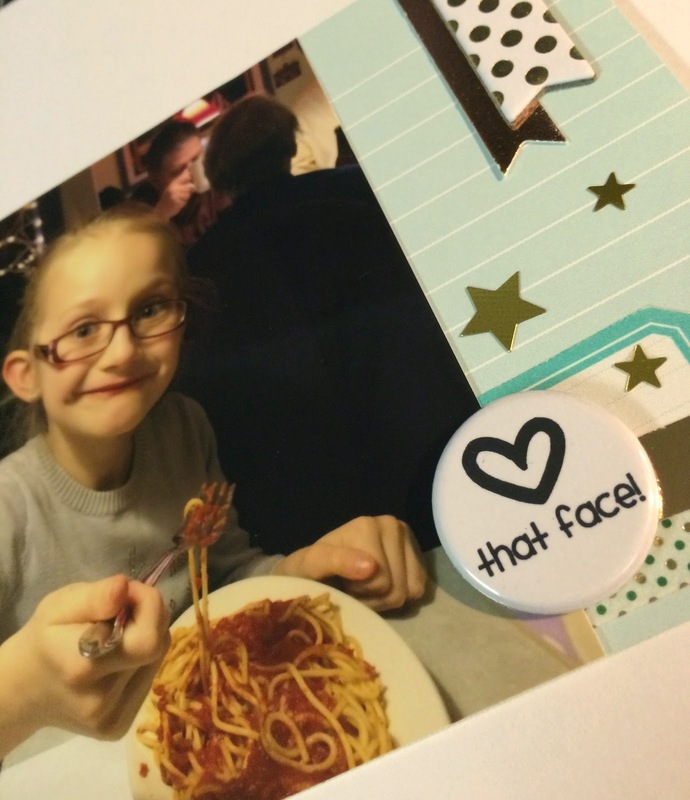 The lucky winner of a personalized flair badge of her OLW and a 2015 flair badge is. Congratulations Amy!! Please email Taniesa at TCraftyPickle@Gmail.com and let her know what word you would like along with your address. So whats your word for the year 2015? 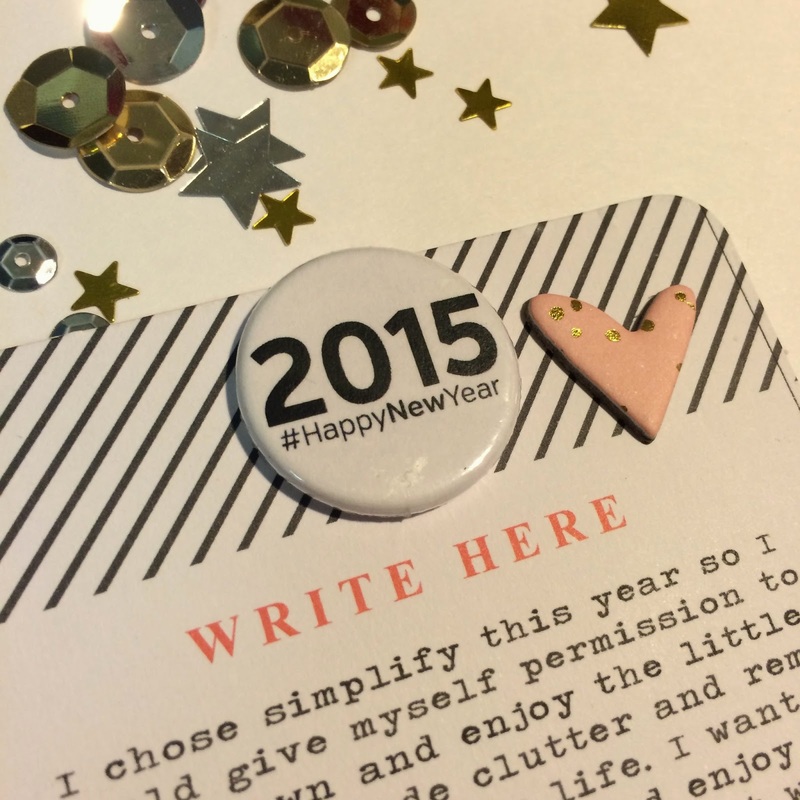 I would love to hear how you came to choose your word and how you plan on documenting it. 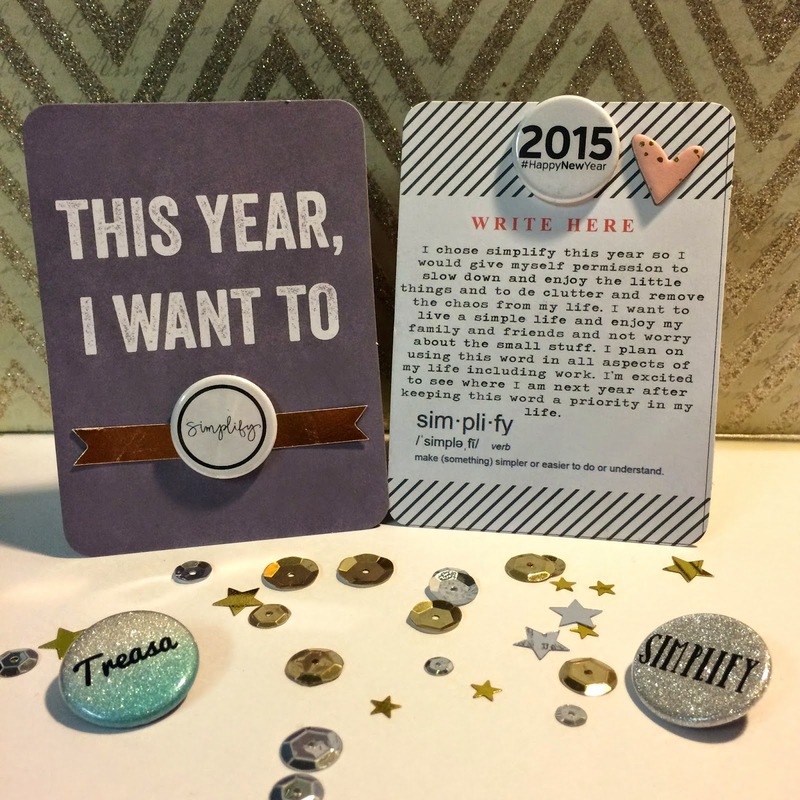 How would you like to win your own word flair badge along with a 2015 flair badge. All you need to do is leave me a comment by Saturday Jan 25th at 10:00 pm. I will then draw a winner on Sunday Jan 26th. 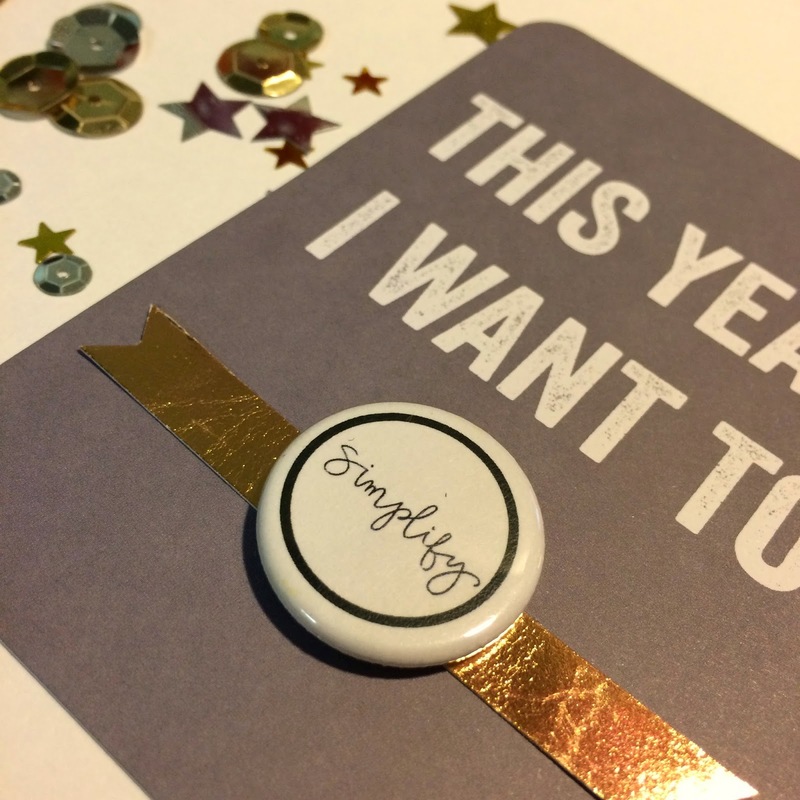 Also during this time Taniesa is offering 15% off purchase of $10 or more using coupon code TCP2015 now though Sunday Good luck and I can't wait to hear your 2015 word. 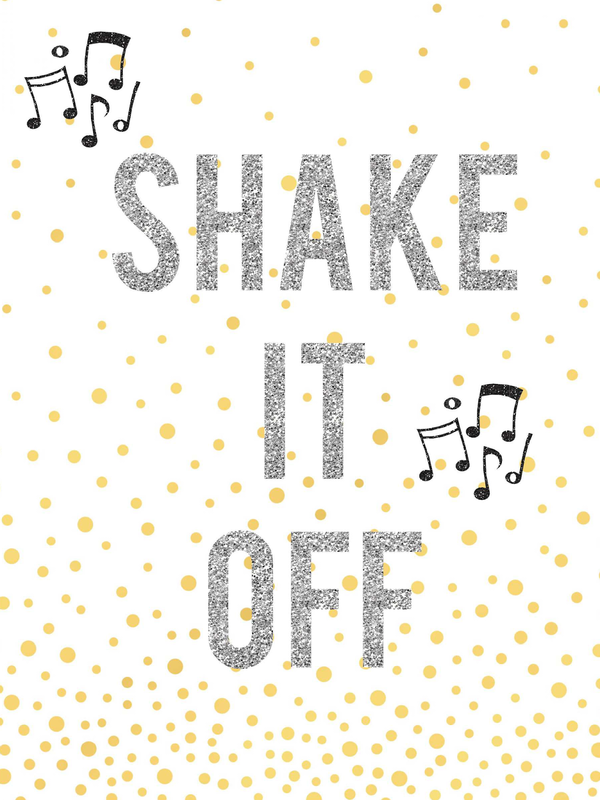 Here is a little freebie for you. 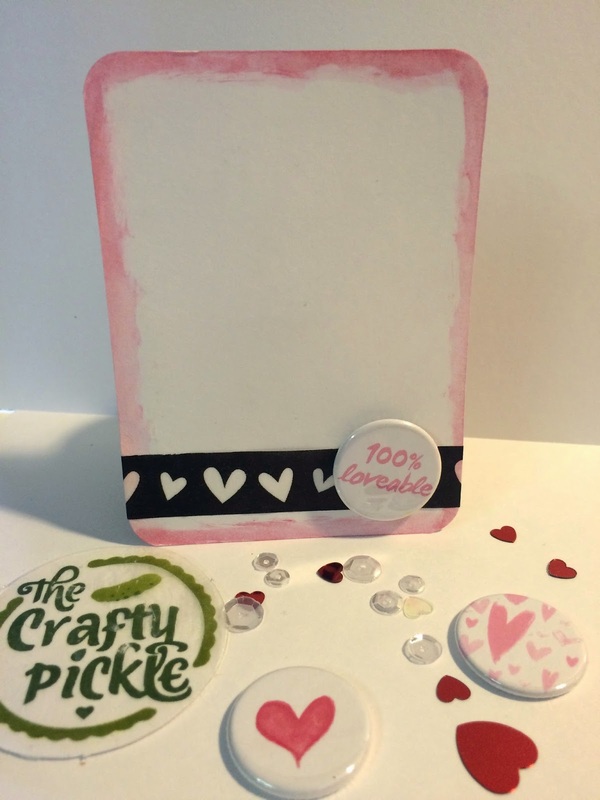 As soon as I seen these flair in The Crafty Pickle shop I knew I had to use them in my album. I love the silver glitter and the fun font. 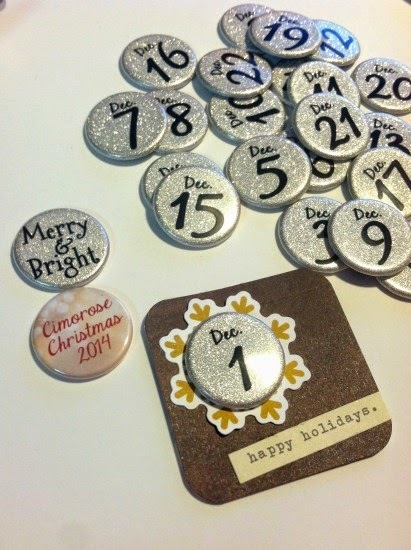 These Elegant December Real flair add the perfect touch to my pages even with some sparkle. 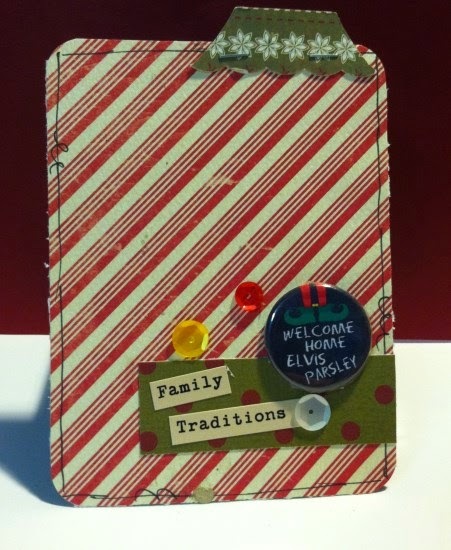 I also made some cards to add in my album using more of the fabulous flair found in The Crafty Pickle. First up is the card I made to document the return of our Elf on the Shelf Elvis Parsley. The Personalized Elf flairs are perfect and I love how you can get them personalized with your elf's name. 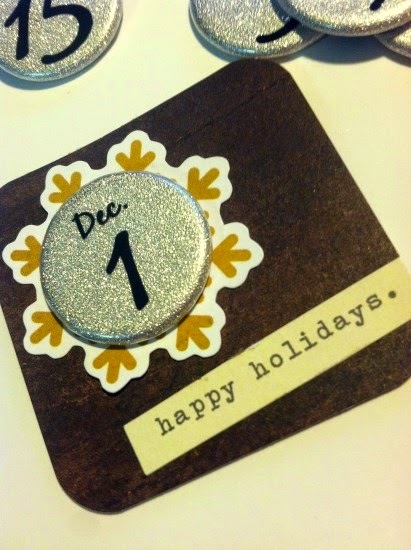 I also used some of the new Christmas Holiday sequins on this card as well. 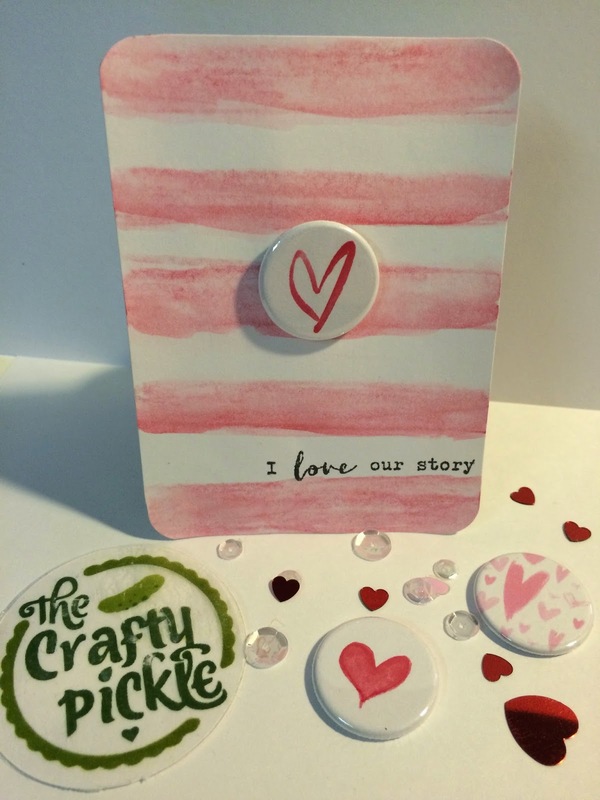 I have to say that I am loving all the flair buttons that I have received from The Crafty Pickle and how I can personalize my album and cards. It makes this album so much more special. 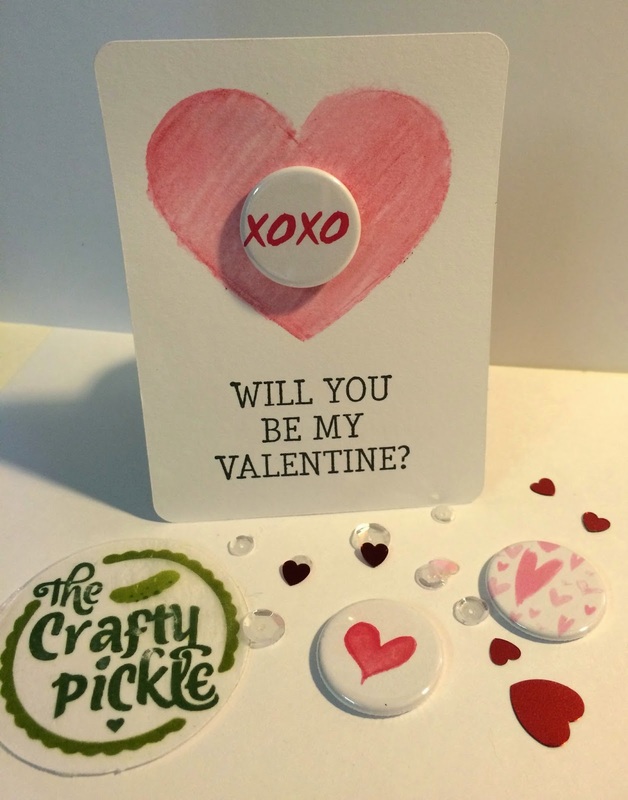 Please visit The Crafty Pickle and remember that Taniesa takes special orders, so if you don't see it in the store, send her a message. 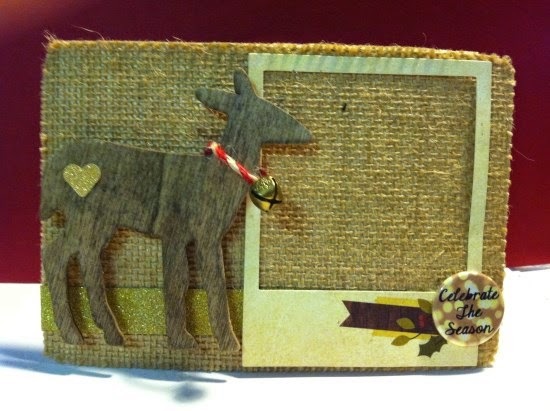 Don't forget to stop by The Crafty Pickle for me fabulous and creative ideas.